DDR3 vs DDR4: What are the differences? DDR4 vs DDR3 – Which one should I choose? Have you been wondering which is a better option for your PC – DDR3 vs DDR4? Well, we were in the same boat so we dove deep and got all the information possible on the topic that would help us make a decision about which one to choose. Read on to know more about the similarities and differences between the DDR3 and DDR4 RAMs and which one would be the right choice for you. To understand this concept better, here is a short background and introduction to RAMs and DDR RAMs. Computer technology is forever evolving and improving, with new products, upgrades, and variants of old technology being introduced in the market every other day. When you are thinking of upgrading your computer, building or shopping for a new computer, it is important to know where your components stand in terms of value, technology, and utility. RAM or random access memory is an important component of a CPU and a computer with the latest iteration has an edge over the rest in terms of performance. The RAM in your computer is important because it holds data that is frequently accessed by your processor. This connection between the processor and the RAM is built on speed; and it goes without saying that the faster your RAM is, the more responsive your computer is and gives an overall superior performance. The RAM storage on your computer is much faster to read and write, in comparison with other types of storage such as a hard disk or an optical drive. Data on your RAM remains only until the computer is running; it is removed as soon as the computer is switched off. When you turn your computer on again, the data is loaded once again on the RAM for quick access. RAM comes in discrete microchips that plug into slots on the computer’s motherboard. DDR RAM or double data rate RAM was developed in the year 2000 and revolutionized the usage of this technology in computers. With DDR RAM, data is moved twice in a single clock cycle – at the beginning and at the end – making it much faster than its predecessor. Further progress in technology saw three iterations of DDR RAM, through DDR2, DDR3, and the latest DDR4. With every new version, there was a marked improvement in data throughput speeds and a reduction in power consumption. When you buy or build your computer, you have to remember that each version is not compatible with the previous version. As a result, the slots on the motherboard are different for each type of RAM. Select the RAM carefully. While building your computer, do not forget that not all RAM is compatible with every processor, even if it fits the motherboard. Make sure your components are compatible before starting your build. Currently, DDR3 is the most widely used RAM with DDR4 memory steadily gaining popularity. When DDR3 was first introduced in 2007, it was significantly better than DDR2 in terms of speed, and voltage. However, with DDR4 the difference is not so obvious. In this article, we will examine the basic differences between DDR3 and DDR4 RAM in an attempt to figure out whether it is worth upgrading from DDR3 to DDR4. The two RAMs are different in the way they are built and the layout of the pins on the modules is different in the two RAMS. The DDR3 RAM uses a 240-pin connector whereas the DDR4 RAM has a 288-pin connector. The connectors are different to make sure the right type of RAM is installed with the right processor. Both DDR3 and DDR4 RAM have modules of the same length and there is a reduction in the pin to pin distance from 1.00mm to 0.85mm in the DDR4 RAM, thus decreasing the overall per-pin contact in the RAM. The arrangement of the pins is slightly different on the DDR4 RAM – the pins in the middle stick a little further out than the pins, in the end, giving it a curved appearance. The DDR4 RAM modules are just a little taller than DDR3 – 31.25mm over 30.35mm – and the PCB is slightly thicker in the DDR4 – 1.2mm from 1.0mm. The taller module of the DDR4 RAM makes routing easier and the extra thickness allows for more signal layers. Also different is the position of the notch on the two memory modules. The clock speed of a RAM is important as it represents the speed of the RAM’s read-write operations. The clock speed of a DDR4 RAM is significantly higher than that of the DDR3 RAM. The DDR3 RAM clock speed ranges from 800 MHz to 2133 MHz through RAM manufacturers have now moved the lowest clock speed to 1333 MHz for DDR3. On the other hand, DDR4 impresses with clock speeds starting from 2133 MHz and go on to 4266 MHz. Theoretically speaking, DDR4 does not have a maximum value and programmers have been able to continually push the clock speed to higher limits. DDR4 RAM’s higher clock speed translates to an overall increase in the bandwidth and a distinct advantage over DDR3 RAM. Power consumption is another important aspect of a RAM and most RAM manufacturers try to minimize the RAM’s power consumption for an optimal performance. Most DDR3 RAMs run at 1.5V natively and its low power module DDR3L runs at 1.35V. However, the DDR4 RAM is more power efficient one and runs at 1.2V natively and as low as 1.05V in its low power module. It might not look like much, but it translates to significant power saving in the long run for a server farm setting. Decreased power consumption also means increased battery backup in laptops and ultrabooks, which is definitely a big plus. The DDR4 RAM has various power saving enhancements built in. It has a deep power down mode that reduces consumption of power when the system is in standby mode. Reduced power and lower operating voltage in the DDR4 RAM means the RAM draws less power and runs cooler than DDR3 RAM. All this is significant because it means that the DDR4 RAM can achieve higher transfer rates at lower voltages compared to DDR3 RAM, which translates to greater system stability over time. If your computer is more efficient, stable and runs cooler, it reduces the strain on your processor, makes it more efficient and not to mention, brings down the chances of frying your RAM during an overclocking test. The DDR4’s increased clock speed and bandwidth can lead to an increase in the latency too. CL or Column Access Strobe latency is defined as the number of clock cycles taken by the RAM to deliver certain data to the CPU. When you are building your computer, look for RAM with lower latency because even super-fast clock speeds cannot make up for high latency. When you compare the latencies of DDR3 and DDR4, the former has the advantage of a slightly lower latency. Dynamic RAM such as DDR3 and DDR4 refresh its content at frequent intervals. DDR3 RAM uses Auto refresh (AR) and Self-refresh (SR) for this operation; generally Self-Refresh for when the system is idle and Auto-Refresh for when the system is in operation. DDR4 is different from DDR3 in the way the refresh mechanism works; it has a low-power auto self-refresh, which uses an adaptive algorithm based on the computer’s temperature to refresh its content. Each array has refreshing modes and these arrays will adjust independently according to the refreshing modes. This is a more stable arrangement and this method of refresh future-proofs the DDR4 RAM in terms of stability and power consumption. Module density has an effect on the overall performance of the RAM because a chip with more modular density can house more RAM per chip. DDR4 chips are being manufactured to house densities of up to 2GB per chip, which is twice as much as that in DDR3. In other words, you can get 16GB DDR4 RAM in a single stick format, and up to 64GB for server-grade memory. DDR4 is clearly technology for the future; it supports 3D stacking of dies with which you can increase module density by stacking up to 8 dies. DDR4 allows for DIMMs (Dual Inline Memory Modules) of up to 64GB, which is a great improvement over the 16GB per DIMM of the DDR3 RAM. When you are building your computer or buying components to upgrade an existing system, it is important to remember that none of the RAMs are compatible with one another. If you have a motherboard that is compatible with DDR3, you will have to change the motherboard if you want to upgrade to DDR4 RAM. In other cases, you need to check the compatibility of your processor to the RAM too. Some processors such as Intel Skylake support only DDR4 RAM, so make it a point to check your processor and motherboard for compatibility before changing the RAM. In a broad sense, motherboards built between 2007 and 2014 are likely to support DDR3 and those built later are more likely to be compatible with DDR4, though not strictly true. As mentioned in the physical differences point above; due to the physical differences between the two RAMs, DDR4 is not backward compatible with DDR3. When DDR4 RAM was launched in 2014, there was a significant price difference between the two. However, with the new version of RAM gaining popularity in the intervening years, the price difference is closing in. For instance, the Corsair Vengeance 16GB DDR3 2400MHz RAM priced at $130, whereas a DDR4 RAM of similar configuration – Corsair Vengeance LPX 16 GB 3000MHz DDR4 RAM is priced at $152, a difference of around $30. Additionally, if you are looking to upgrade an existing computer, you will have to factor in the extra expense of upgrading the motherboard and/or the processor. 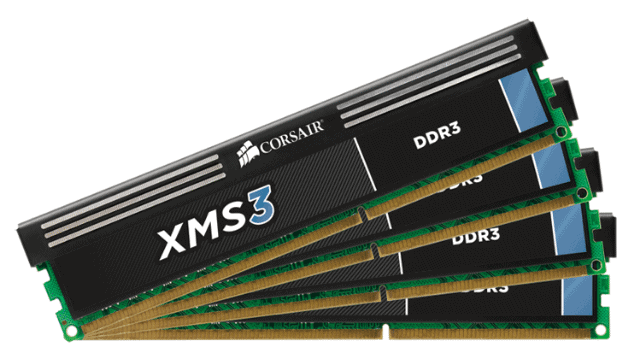 There are many reasons to choose DDR4 over DDR3 RAM. In our comparison, we have outlined the major differences between the two RAMs to help you choose between them. In the battle of the RAMs, while DDR4 does have an advantage in terms of module density, voltage consumption, and clock speed, DDR3 still edges out the new version in terms of latency and price. Keeping in mind these factors, choosing the best RAM will also depend on your own personal needs and requirements. DDR3 vs DDR4 Gaming: If you are looking to build or upgrade a computer for gaming, you will need a system that is fast and has minimum lag. A RAM like DDR4 will definitely improve your gaming experience, because of the increased chip density and clock speed. However, with DDR3’s better latency, there is really not much to choose between the two. DDR3 vs DDR4 Performance: The overall performance of the system is better with the DDR4 RAM because of its lower voltage and stability. It’s increased module density and refresh algorithm makes your system efficient and fast. DDR3 vs DDR4 RAM future ready: The refresh algorithm, the increased chip density with the 3D stacking and increased clock speeds clearly point to out that DDR4 technology is here to stay. If you are looking to build a future-ready computer with the latest technology and components, DDR4 is the way to go. Though DDR4 RAM is better than the DDR3 RAM in most ways, the upgrade is not significant enough to warrant the difference in price or the need to upgrade immediately. No doubt DDR4 is the future, but DDR3 is a competent enough RAM for the present and if you are happy with your computer’s performance, there is no pressing need to upgrade to DDR4 immediately. If however, you are getting a new PC which needs a lot of processing power for graphic editing or gaming – DDR4 would be a clear winner.